Liberal Bohemian: The Satanic Kraft Family wins another one! 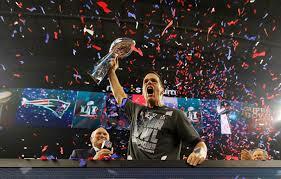 So the New England Patriots win another one. This makes 6 out of 9, or as Jimmy Hendrix said: "If a 6 turns into 9, I don't mind. I don't mind." I knew the Patriots would win, I mean they lost last year to make it look good. They don't want the great Satan to let them win every time; we might get suspicious and have to give them their own Knights In Satan's Army league where they win every game in a mediocre league where everyone stands up for the National Anthem no matter how many of their people have been imprisoned because they aren't shaded Roger-Stone magenta. I hope their souls are worth it. I didn't have a dog in the race, as they say, so didn't really care. I actually wanted both teams to lose and almost got what I wanted: it was the worse Super Bowl ever! I've actually seen more exciting per-seasons games, and I'm talking walk-through, no tackling scrimmages between the Cowboys and the Raiders. FOXBORO, Massachusetts -- The New England Patriots Sunday agreed to a five-year, $100-million deal with the Prince of Darkness. "Satan is an incredibly valuable member of the Patriots' family," said team owner Bob Kraft, "and we are delighted our fans will continue to enjoy his exploits while being delivered into his power." The Patriots acquired the Great Deceiver as a free agent before the 2001 season, after last-minute negotiations and pleas for forgiveness from Baltimore Ravens owner Art Modell. Since then, the Devil has led the previously-inept New England franchise to three Super Bowl championships and five AFC East titles. Okay, so the yellow words above are stolen material (read the whole post here) and was meant as a joke. In reality, God is on Kraft's side. 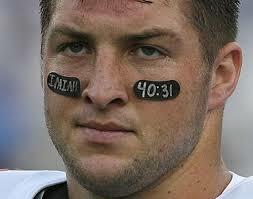 Do you remember when back in 2007 Kraft acquired Tim Tebow because of Tim's "spirituality?" “He’s a winner, and the fact that spirituality is so important to him is very appealing to me,” Kraft had said. So, more than likely, Kraft is not a Satanic, just another wealthy billionaire sticking it to the peasant. Money lyrics © T.R.O. Inc.